Greetings from the weird Christmas-New Year slump where nobody even knows what day it is anymore! I hope you all had a wonderful festive time – it was certainly a magnificent Christmas at HH HQ! As always, the food has been spectacular and the company even better. Here’s a little look at some of the things I devoured and received this yuletide. I spent much of Christmas Eve constructing the advent calendar Dr HH gave me (see my previous Christmas post). This was the final work of art! The tree is pretty shoddy, but Santa and Rudolph look grand. How’s Dr HH going to trump this next year?! 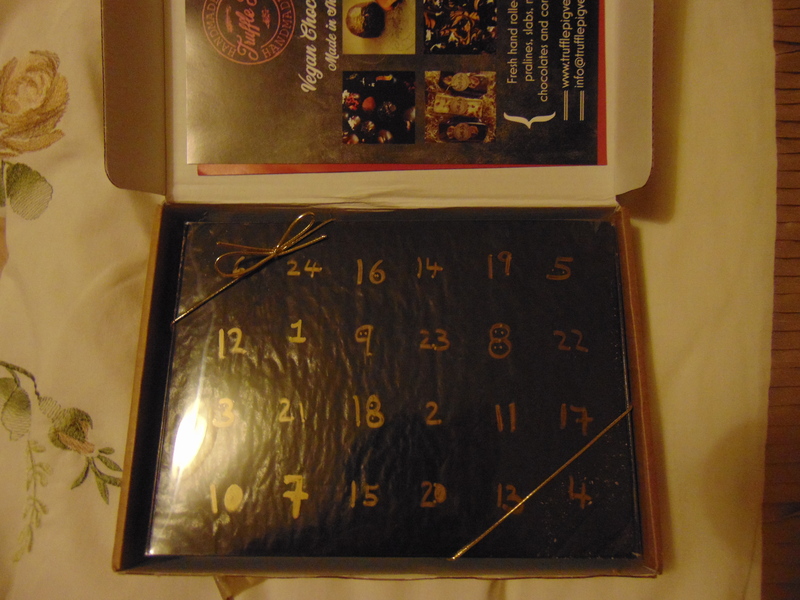 When I got back to Manchester I also had this advent calendar waiting for me: 24 chocolates from Truffle Pig. 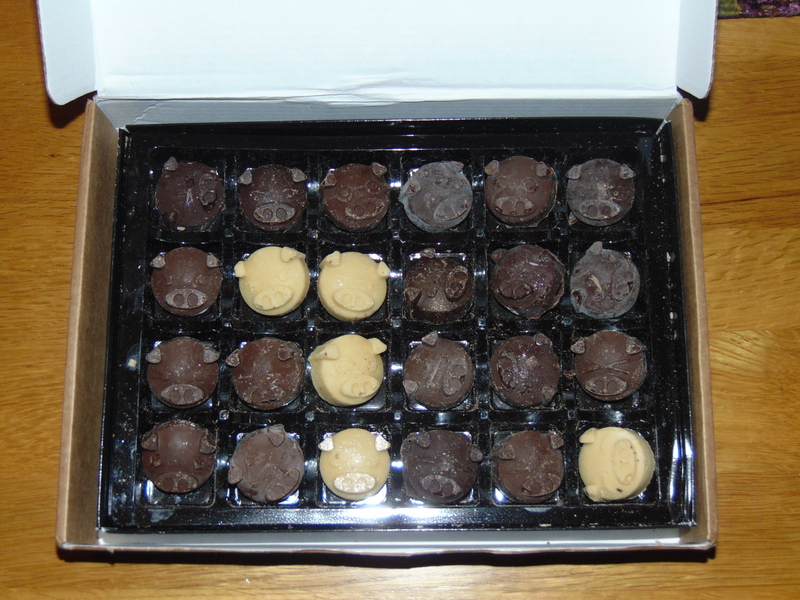 The chocolate was nice – there was a mixture of milk, dark and white piggies, and some of them had an additional flavour or chunks of nuts/puffed rice inside. Truthfully though I’d hoped they be a wee bit more flavoursome and exciting – I think just buying a big box of their decadent proper truffles and rationing out one a day is a nice idea for the future. Dr HH spent Christmas with my family for the first time and helped me put together this Christmas Eve Party Tea. 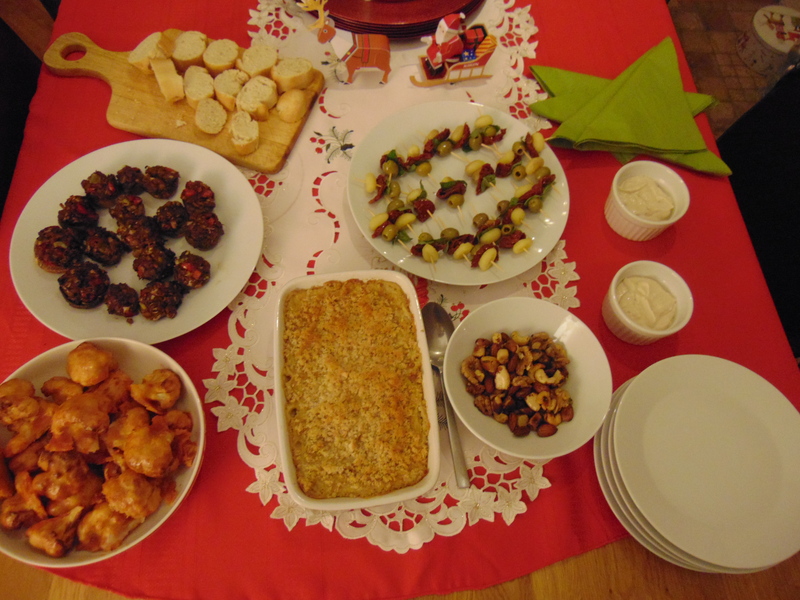 He made buffalo cauliflower and blue cheese dip from But My Family Would Never Eat Vegan and tempeh stuffed mushrooms from The Superfun Times Vegan Holidays Cookbook, and I made the artichoke dip from the same book, plus some seasonally spiced nuts and roasted gnocchi nibbles. The dip and cauliflower were particularly well received and all-in-all it was a lovely spread. 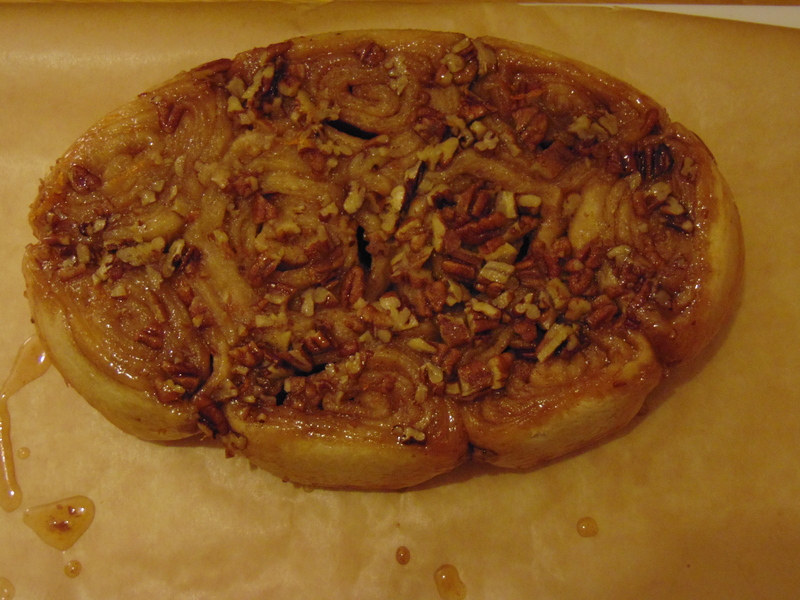 The two of us also worked together on Christmas breakfast: these orange pecan sticky buns! They were a huge success, really festive and delicious. It was lovely to pull the buns apart, warm from the oven. 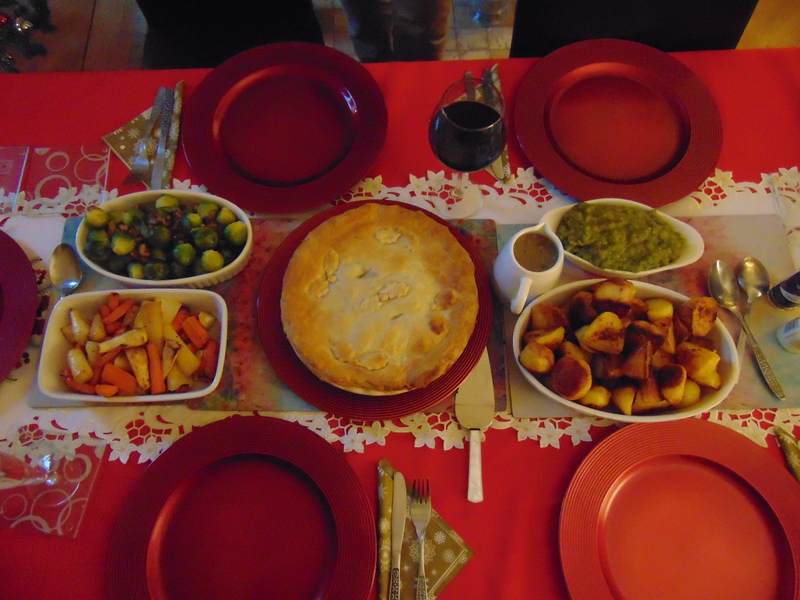 For our Christmas dinner, I prepared an all-vegan feast for five people, three of whom eat meat. I’d say it was also a success, though it’s possible that nobody else enjoyed it quite as much as I did! It was a double pie day (the best kind of day, in my opinion): the main dish was the pot pie from Superfun Times, and I also made the chocolate pecan pie from the same book. On the present front, I got some excellent vegan loot! 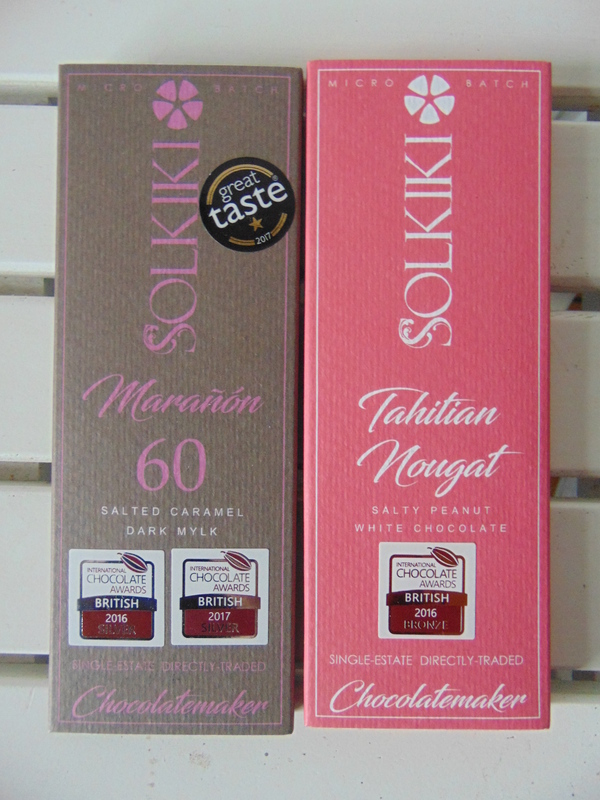 I got two bars of my favourite Solkiki chocolate – exactly the same as I got for my birthday, because I love them too much to try anything else. They’re just so good, and entirely cruelty-free, as they’re approved by the Food Empowerment Project. 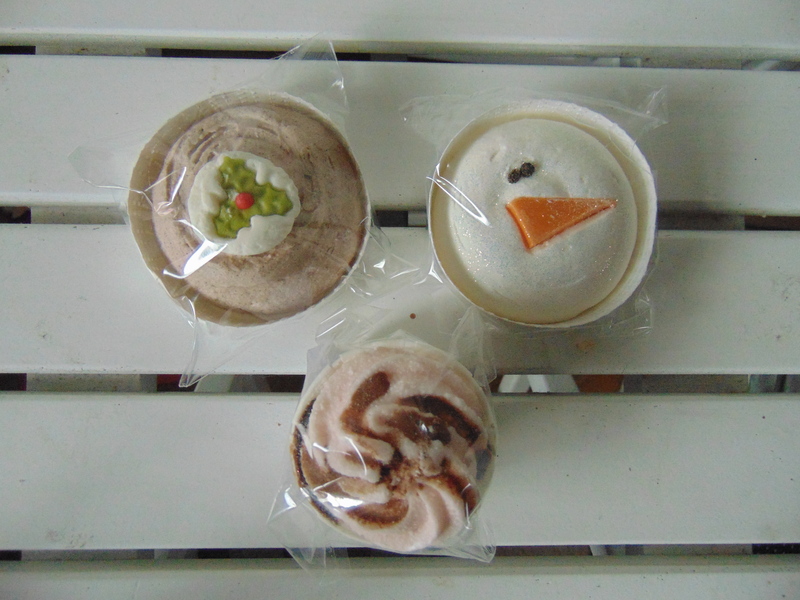 I also got some nice bath bombs from The Dirty Vegans – the Christmas pud and snowman were very attractive gifts, and I treated myself to the toasted marshmallow one after ordering a few as stocking fillers. I prefer this place to Lush because they’re all vegan and you can buy online without the staff following you around trying to sell you things. Hurrah! As always, I was treated to a new cookbook for Christmas. I’m super excited about getting stuck into this in January, I’ve already spotted about a million things I want to try! And that was my fourth vegan Christmas in a nutshell! It was especially wonderful to have a totally cruelty-free dinner table, with nobody lamenting the lack of meat and dairy. It can be very difficult to break with meal traditions, especially at special occasions, so I feel extra lucky that my family were on board with trying something completely new. It’s never too early to start thinking about next year’s feast – give me some inspiration by letting me know what you made for Christmas dinner. Did you get any fantastic vegan gifts? 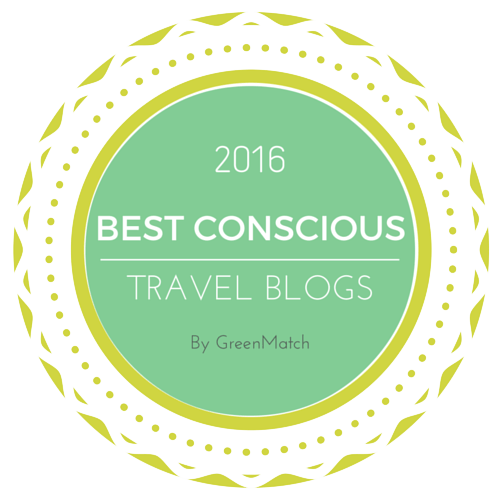 This entry was posted in General and tagged Solkiki chocolate, The Dirty Vegans, Truffle Pig vegan chocolate, vegan Christmas, vegan Christmas dinner, vegan party food, Vegan Richa. Bookmark the permalink. Merry Christmas! The spread looks awesome! Meat is so hard to buck! I’ve hosted a few get togethers and there is always meat because someone else makes it. Kind-of annoying, but I guess that’s how things go sometimes. Yeah, it makes a real difference having a wholly meat-free table. I was pleased to be able to take a photo of the whole table, rather than trying to angle it to avoid the slab of meat! I also got Vegan Richa’s Everyday Kitchen, as well as The Homemade Vegan Pantry and The Superfun Times Vegan Holiday Cookbook. It was a good Christmas for cookbooks! Three cookbooks is the Christmas dream! Let me know if you’d recommend The Homemade Vegan Pantry, I don’t know much about that one. 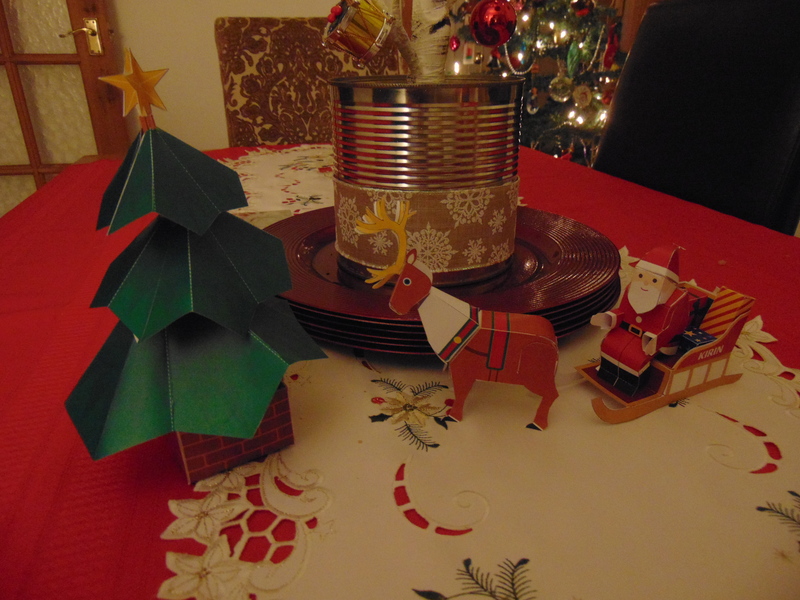 I love the advent calender you put together; so cute! All the food looks great, and that’s wonderful that everyone enjoyed it! Yes, I was pleasantly surprised that nobody mentioned missing out on meat! Merry belated Christmas. Very much in agreement about the pies. 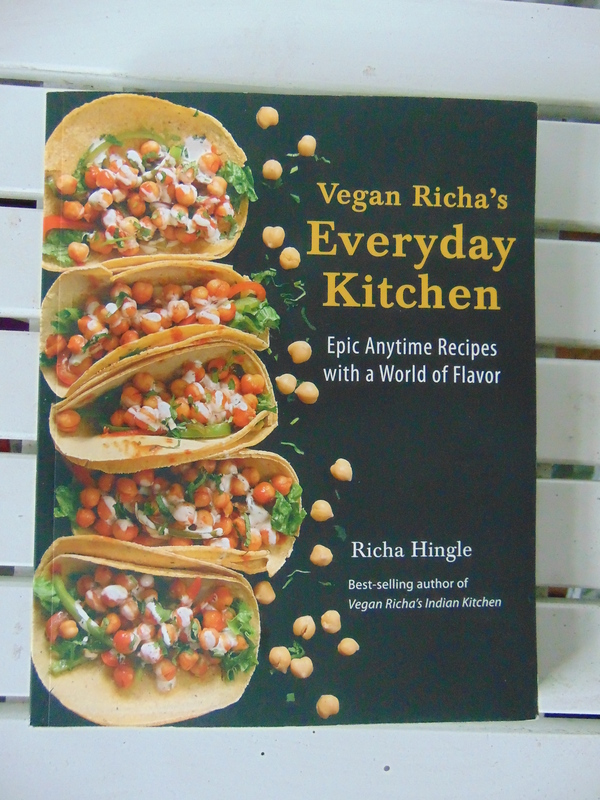 And looking forward to a review of Vegan Richa’s new book in the near year! Merry Christmas! Can’t wait to get started with Vegan Richa! Woohoo for a cruelty-free Christmas! It looks wonderful. 🙂 Happy New Year to you!